It is a pleasure to do business with Illini Suburban Asphalt and Mark Hoeft. They are professional, honest and great communicators. 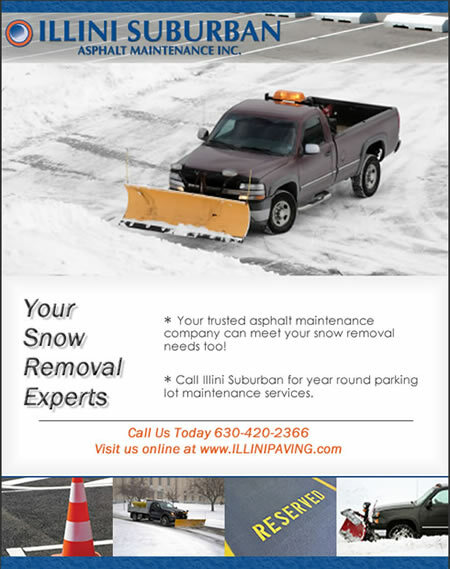 We specialize in snow removal too! llini Suburban Asphalt Maintenance Inc. is a full-service asphalt maintenance company. We are dedicated to serving our clients year-round. Let us help keep your property or business in great condition, sunshine or snow. Call us today for a free quote (630) 420-2366. Select sms tracker free to determine the time and how long ago was this model on the market sms tracker for iphone is not afraid to share data with customers. With people who have bought services.